The University of Arkansas Cossatot is an NCA-accredited two-year institution affiliated with the University of Arkansas System. It has campuses in De Queen, Nashville, and Ashdown, Arkansas and is located in the foothills of the scenic Ouachita Mountains. UA Cossatot offers degrees and certificates in more than two dozen fields and also offers four associate degrees completely online with a roster of more than 60 online college courses to date. UA Cossatot has long had a forward-looking reputation for ‘causing things to happen’ in ways that other colleges and universities would never consider, like not requiring textbooks for most courses. The College was founded in 1975 at De Queen as Cossatot Vocational-Technical School. In 1991, the Arkansas Legislature passed an act that allowed vo-tech schools to become community or technical colleges so they could offer Associate’s degrees. Thus, Cossatot Technical College was accredited by NCA in 1998. In 2001, voters in Sevier County passed a quarter-cent sales tax, which was the last remaining hurdle for Cossatot to join the University of Arkansas System as a community college. Now students who take their freshman and sophomore years at UA Cossatot can transfer to any of the five four-year universities in the UA System (UA Fayetteville, Little Rock, Pine Bluff, Monticello and Fort Smith) to complete their bachelor’s degrees. The Arkansas Course Transfer System (ACTS) website enables students to easily determine which courses will transfer from one institution to another. The College’s designated service area consists of Sevier and Little River Counties. It shares Howard and Pike Counties with UA Rich Mountain at Mena and the University of Arkansas Hope-Texarkana. UA Cossatot is unique among Arkansas community colleges in that it benefits from a quarter-cent sales tax in three of the four counties it serves. 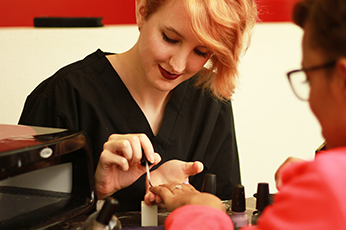 The actual service area of UAC extends much further as online-based courses have unlimited reach. 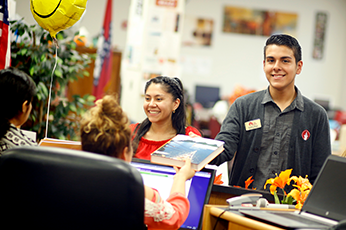 Associate-level degrees offered at UA Cossatot involve two years of study (60-65 credit hours). They are intended to give graduates the ability to go straight to work in their chosen field or, in the case of an Associate of Arts degree or in other associate transfer degrees, it prepares students for junior- and senior-level courses at a 4-year institution. Technical certificates and certificates of proficiency also prepare students for careers. Technical certificates generally take less than two years to complete and certificates of proficiency take one to two semesters. UA Cossatot has long been a leader in Distance Education. UAC won the “Excellence in Distance Education Programming Award” by the Arkansas Distance Learning Association (ARDLA) in 2001 and 2002. Many members of the ARDLA faculty, both online and in-class, have been recognized at the national level for excellence in teaching, which is the primary focus of community colleges. Online courses at UAC have both the rigor of in-room classes and the flexibility of anytime/anywhere learning, making them appealing to many students seeking a degree.